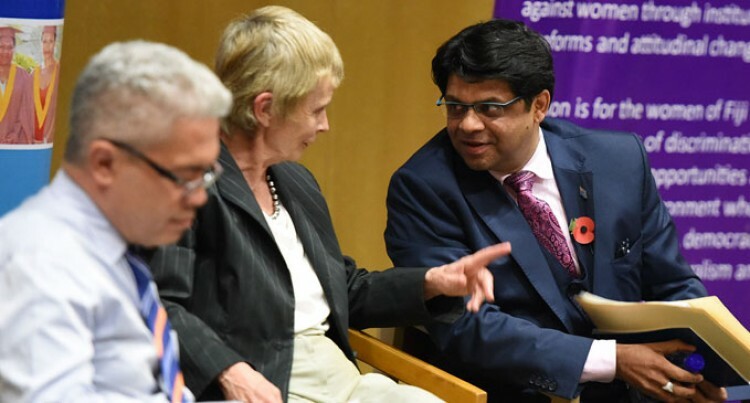 The implementation of the Constitution is as important for Fiji as anywhere else says Laureate Professor Emeritus and foundation director of the Centre for Comparative Constitutional Studies, University of Melbourne, Australia Cheryl Saunders. She made the comments during a public lecture at the University of the South Pacific, which was organised in partnership with the Citizens Constitutional Forum and the Fiji Women’s Rights Movement. She outlined the three dimensions on the implementation of a constitution which are the technical aspects, the interpretation bit and the implementation talks about the cultural change. Ms Saunders said Fijian Constitution has been in effect for over a year it was a perfect time to take stock of its implementation. “Implementation has to be sufficiently advanced to assess the direction in which it’s moving but these are still early days and there’s scope for adjustment if that proves necessary,” she said. “This is the vehicle designed to return Fiji to democratic government and the rule of law. She also emphasised that the workability of the constitution always depended on the implementation of the constitution by the nation. There were panel discussions after the lecture as well with Attorney-General Aiyaz Sayed-Khaiyum, Tara Chetty from FWRM, Akuila Yabaki representing the NGO Coalition and lawyer Jon Apted. Mr Sayed-Khaiyum thanked Ms Saunders for her speech on the implementation and agreed that the interpretation of the Constitution was very important. “One of the areas we are keen on is the socio-economic rights; I think in Fiji as far as the constitution making was concerned, it all generally focused on ethnic rights, civil and political rights yet we have been very sort of shy of talking about the socio-economic rights,” he said.